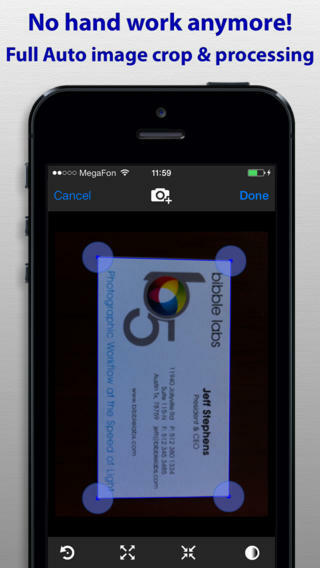 SharpScan is an iPhone app developed byPixelnetica. 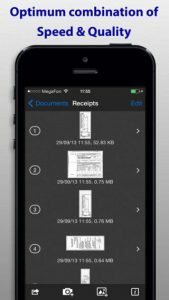 You can use this app to turn the photos on your phone into clean, clear, and legible PDF documents. 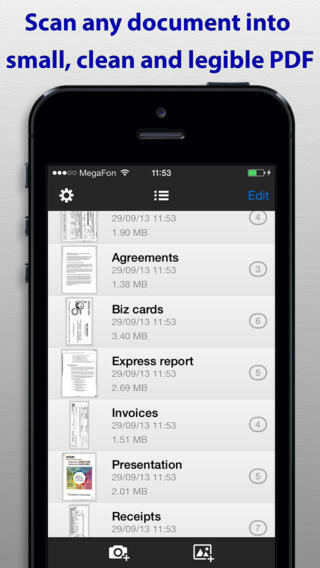 If you have to create a lot of PDFs on the go, this handy app is gonna be a real time saver! Regular readers might recall that we actually took a look at this app several months back. In that review, we praised SharpScan for its robust array of features. We especially liked the quick start guide, the ability to havelossless compression, the feature that getsrid of shadows and/or distortions, and the ease with which you can undo changes. Speed is the key here. It takes literally seconds to create your documents, which makes this ideal for anyone who needs to create a large amount of documents, or anyone who is just in a big hurry. If you are often working in poor lighting conditions or in environments where you can’t control the light level, SharpScan is a really good app to use. SharpScan is great at reducing shadows, because the app boasts a special mode for strong shadows processing. Images are cleaned up automatically, saving you the hassle of making manual adjustments. The app itself is free, but it does include ads. Scanned documents will be generated with watermark, unless you spend $4.99 via IAP to remove the watermarks. The thing I can’t really get over is just how intuitive the interface is in SharpScan. This app is incredibly easy to use, and also simple to navigate. Even the most tech-resistant person is going to find themselves loving how easy this app is to use. Want to learn more? Follow @pixelnetica on Twitter, check them out on Facebook, or watch this video on YouTube! SharpScanrequires iOS 7.0 or later. Compatible with iPhone, iPad, and iPod touch. This app is optimized for iPhone 5.